Designing a historic landmark is a gem project for any interior designer. For students in Designing Commercial Interiors, that challenge came as part of a project this spring. Student winners Paul Cage, Jillian Batson and Marisa Dankwa. Not pictured, Sarah Richmond. Designing a historic landmark is a gem project for any interior designer. 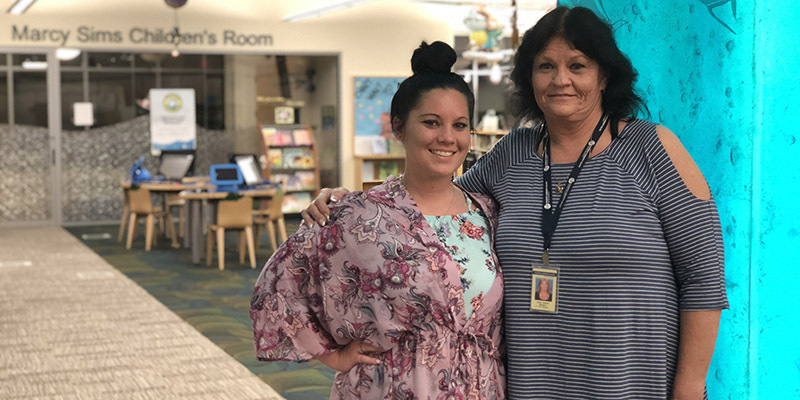 For students in Tidewater Community College’s Designing Commercial Interiors class, that challenge came as part of a project this spring. Students in Alex Reichardt’s IDS 222 had the opportunity to design the interior of 127 Bank St., a commercial building constructed at the turn of the century. The building, which is part of the Downtown Norfolk Historic District, is built with limestone in the classic revival style. It is the only Norfolk bank to survive the Civil War. Yureacia Norman Parker, the current building owner and president of Arbre De Vie Healthcare Services Partners, and architect David Klemt, had a vision for the project and waited for the designs to be completed as part of the students’ final exam. The building will be the headquarters for Arbre De Vie and provide office space for other health care practitioners. “The spaces literally sprang to life with students using the latest technology,” Parker said. 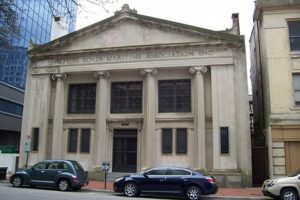 Students in Commercial Design provide renderings for 127 Bank Street in Norfolk, a historic building constructed at the turn of the century. 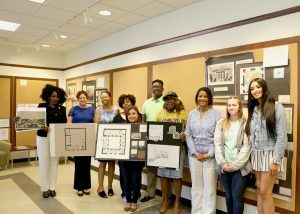 Students presented their ideas in detail and included space planning, materials selection, furniture placement, as well as the aesthetic details of each of their designs. Students also considered accessibility and lighting in their planning. Architect David Klemt with student winners Paul Cage, Jillian Batson and Marisa Dankwa and owner Yureacia Norman Parker. Not pictured, Sarah Richmond. 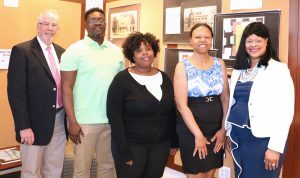 Four student winners were selected for top honors in the project with Marisa Dankwa awarded the top spot for her detailed work after designing every room on every level. Jillian Batson placed second with a design that preserved the historic feel of the space. She added a lighting plan and materials board. Sarah Richmond, who finished third, maximized accessibility and selected furnishings. Her design included detailed renderings of two floors. Paul Cage placed fourth for his rendering that included details and an extensive lighting plan. Parker and Klemt will take the designs and incorporate elements from each into the completed building renovation. Arbre De Vie will open on Bank Street next year and provide services for veterans and others including support groups and job training.